Ok, before my WIPs, I have a big 'ol TA-DA to share!!! The sweater....is done. I don't have any photos of me wearing it, but I plopped it on Joan for a few shots. Ok, now on to the WIPs. 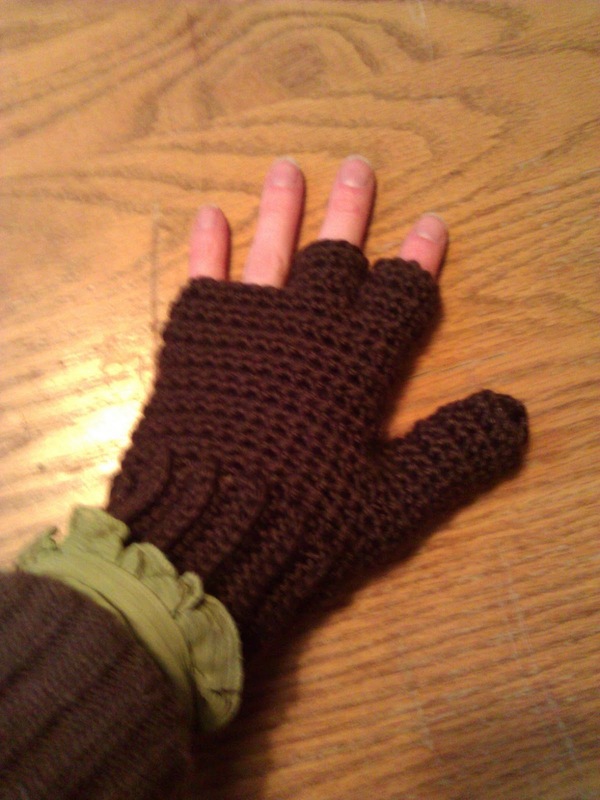 I think I mentioned I'm making some fingerless gloves with the mitten flaps on them. I'm about 3/4 of the way done with the first glove. They're pretty cool! I'm happy with them so far. 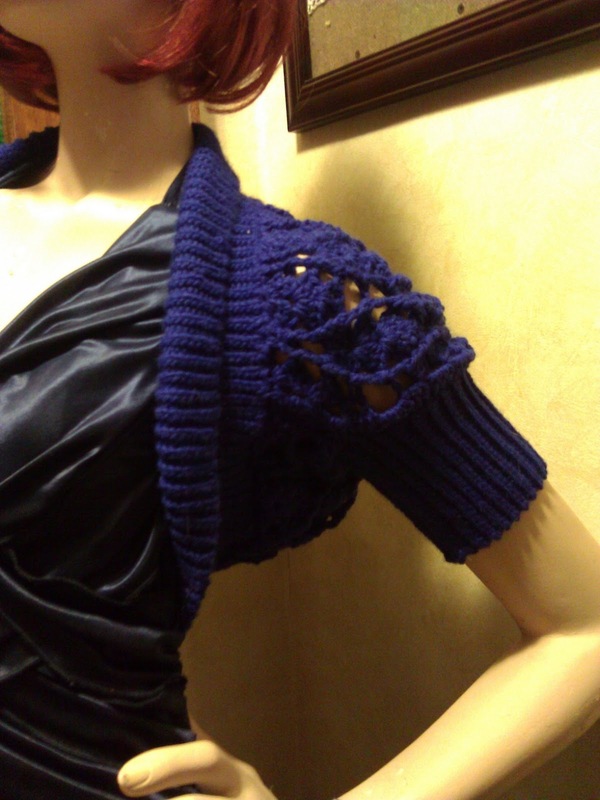 And last night I started a scarf for my store. 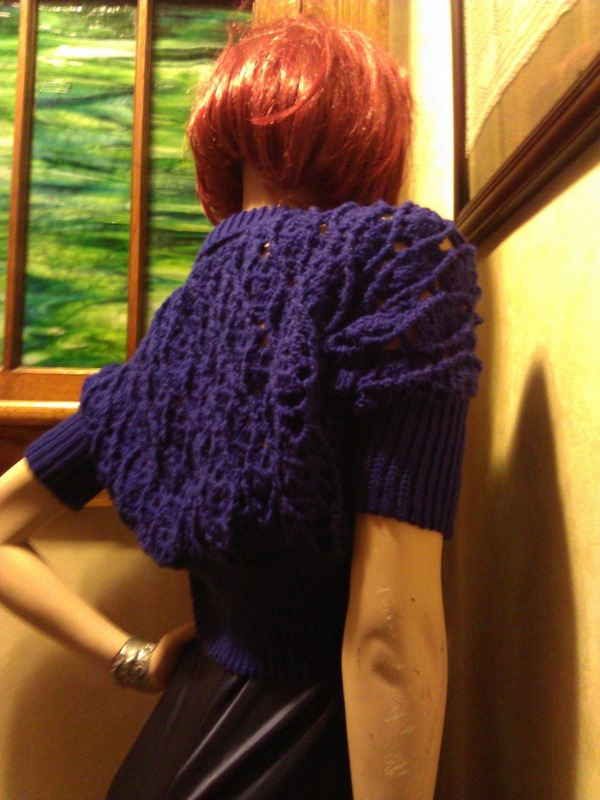 I had this god-awful....thing I made with some really soft chenille yarn that was just to embarrassing to even try to own or sell. 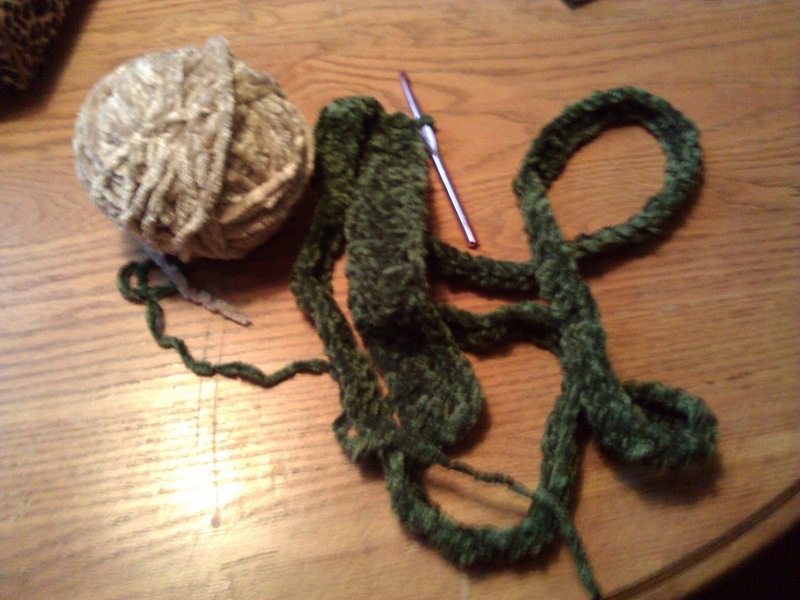 So I ripped it out and started a really warm and fuzzy scarf! That's about it for now. I'm going to sit back and enjoy the warm glow of my Christmas tree and snuggle up with the cat and work on the scarf. Hope all is well with everyone.